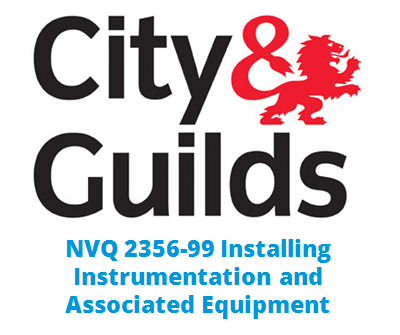 We have places available for mature candidates on the City & Guilds NVQ 2356-99 Electrical Installation, Electrical Maintenance, Installing Public Lighting Systems, Installing Instrumentation and Associated Equipment, Electrotechnical Panel Building, Electrical Machine Repair and Rewind and Installing Instrumentation and Associated Equipment. 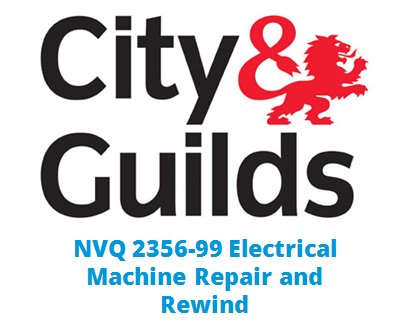 We also have places available on the City and Guilds 2357 Level 3 Electrical Installation and City and Guilds 2357 Electrical Maintenance. These are for the performance assessment of the NVQ and candidates should already have completed the knowledge assessment of the NVQ such as City & Guilds 2365 and/or City & Guilds 2330. These NVQ’s will enable you to apply for your JIB grading and courses start from just £1100 – or £137.50 pm (ex. vat). See below for more information about each course, or complete the online Application Form for further details. The NVQ 2356-99 Electrical courses are for mature candidates with over five years experience within the industry and relevant technical qualifications. If you do not meet the criteria then please look at the other courses available. Candidates who successfully complete any of the NVQ 2356-99 courses below immediately become eligible for their JIB Gold Card. The NVQ 2357 Electrical assessment only courses are suitable for candidates who are working in the industry and have relevant technical qualifications such as City & Guilds 2357 knowledge units, City & Guilds 2330 levels 2 & 3 and/or City & Guilds 2365 Level 2 & 3 or EAL equivalent. 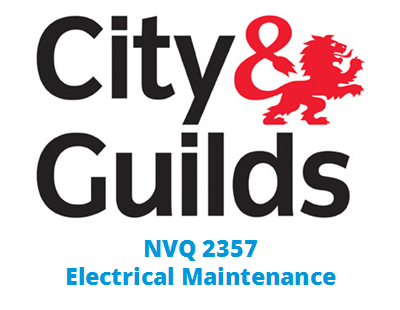 Candidates who successfully complete the NVQ 2357 Electrical Installation or NVQ 2357 Electrical Maintenance immediately become eligible for their JIB Gold Card. I would like to thank XS Training staff for being extremely supportive throughout this online course, thanks to their help and guidance I have been able to achieve the NVQ 3 2356 in electrical installation. My assessor Stuart was quick in responding to any questions I had, and my site diaries were always looked at and assessed quickly, with useful and constructive feedback attached. I highly recommend XS Training Ltd to anyone looking to train online. 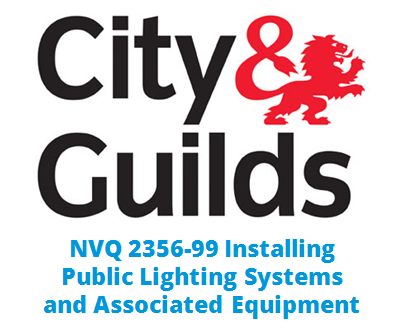 I have recently completed my NVQ 2356-31 level 3 in Electrical Installation with XS Training, all I have to say is my assessor Jamie Gibbs – and David Alexis and Stuart Driver – were all very helpful if I was ever stuck with something. Also they were very quick at replying once I had submitted each section of my portfolio. I would recommend XS Training to anybody as you do everything online in your own space & time. If I ever need to further my career with any more qualifications I will be contacting XS Training first. From my initial enquiry, through to completion of my qualification, Jamie and all the staff involved were helpful and very informative, and are at the end of the phone at all times of the day or night. And even at weekends if I needed it, which suited the onsite environment in which I’m involved in from day to day. I cannot fault the service, value and support given by Jamie and the staff at XS Training. All aspects of this qualification were carried out within times that were suitable for myself, which was the biggest positive as no time off work was involved. Thank you for the great service. I would highly recommend XS Training to anybody looking to gain qualifications in the electrical industry. There’s no messing about involved they just tell you exactly what you need to do to gain the qualification and they are only an email or phone call away if any advice is ever needed. Andy Rayner was my assessor, a top bloke who was very helpful from start to finish. I will be using XS Training again to gain my 18th Edition very soon. It was a pleasant and easy experience in doing my NVQ Online. I had some doubts at the beginning, but now they’ve gone. It saves a lot of time by doing professional discussions online and at a convenient time. Jay the assessor was professional, polite and patient. I wish other trainers and professional bodies switch to online assessments as I believe this is the future and will save time and money. Thanks again, I will definitely recommend you. I’ve just finished my level 3 NVQ with XS Training. There are many companies out there that offer this qualification, however XS Training have to be one of the best for service and value for money. The student website was easy to use for uploading evidence, reviewing your progress, accessing emails and for remote observations and web chats with your assessor. Everyone at XS has been nothing but helpful and professional at all times and I have already recommended them to another person who needs to do this course. Thanks for all your support guys, you’ve been great. I have recently completed my NVQ 2356-31 level 3 in Electrical Installation with XS Training, all I have to say is my assessor Jamie Gibbs – and David Alexis and Stuart Driver – were all very helpful if I was ever stuck with something. Also they were very quick at replying once I had submitted each section of my portfolio. If I ever need to further my career with any more qualifications I will be contacting XS Training first. From my initial enquiry, through to completion of my qualification, Jamie and all the staff involved were helpful and very informative, and are at the end of the phone at all times of the day or night. And even at weekends if I needed it, which suited the onsite environment in which I’m involved in from day to day. I cannot fault the service, value and support given by Jamie and the staff at XS Training. Thank you for the great service. I’ve just finished my level 3 NVQ with XS Training. There are many companies out there that offer this qualification, however XS Training have to be one of the best for service and value for money. The student website was easy to use for uploading evidence, reviewing your progress, accessing emails and for remote observations and web chats with your assessor. Everyone at XS has been nothing but helpful and professional at all times.